My 13-year-old self would have been thrilled to be sitting next to Martin Kemp OF SPANDAU BALLET FAME. My 43-year-old self was also pretty embarrassing. 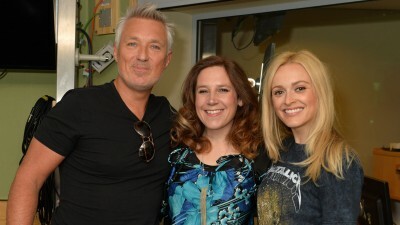 Fearne Cotton and Martin Kemp are sitting in for Graham Norton this summer on the Saturday morning show on BBC Radio 2. Much talk about Edinburgh, why people do stand-up comedy (a very good question), avocados, The Kids From Fame (they played High Fidelity for me!) and, less gratifying, golf. That was mostly Martin. That is what he does now. Not GOLD. But GOLF. Well, we all have to age somehow.